Have you dreamt of a trip to Italy? I have! Aside from the country having so much to offer, I also have an Italian heritage pulling me towards the country. With so many places to see, it can be daunting to plan your trip. Florence is one city that is a must see. So much history and the ability to see much of Renaissance Florence. Even from photos, you can see the stunning architecture that awaits your visit. And I am sure the food is great, too! But, where do you stay while in the city? 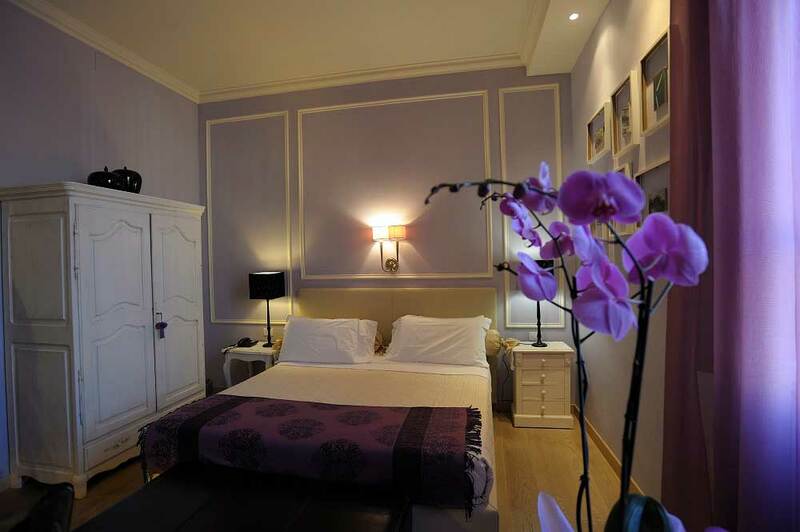 La Dimora degli Angeli is a gorgeous, intimate B&B in city centre Florence. You’ll find both charm and style in each room with the convenience of being close to many attractions and the train station. The rooms themselves are not the only thing spectacular about this B&B. 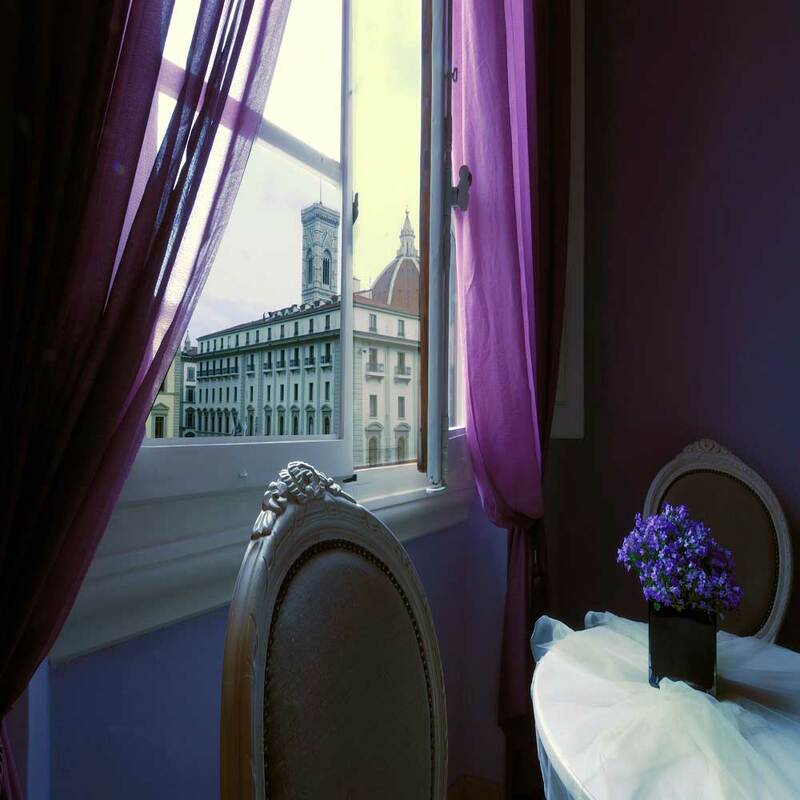 The 12 rooms all face the piazza del Duomo and piazza San Giovanni. This provides guests with the opportunity to admire the Cathedral, Brunelleschi’s dome, Giotto’s bell towers, and the S. Giovanni baptistery directly from the rooms. Although this building was built in the 19th century, guests to La Dimora degli Angeli have access to modern creature comforts. The rooms are also tastefully decorated with the modern traveler in mind. Each available room has a different level of luxury included. More budget minded travelers can opt for a small room with a double bed. Those willing to spend extra for space can opt for the Three bedded room with a view. You can see all the options and make a reservation online. Although it is a few years before the youngest boy is out of the house for me, I am thinking a trip to Italy would make for a wonderful second honeymoon. I can see how a stay at La Dimora degli Angeli is the perfect combination of central location and a more intimate setting. Plus, I don’t have to give up privacy or comforts like air conditioning! Have you planned a trip abroad? What types of accommodations did you select? A hotel or a local B&B for an intimate experience?